One of the most irksome things about my drizzly homeland of the United Kingdom is the widespread domestic habit of mistaking the material benefits of industrial and Colonial wealth, post-war socialism, and a happy lack of mass violence—all of which, for a good half century, guaranteed a relatively safe and stable life, good opportunities to better your lot, free healthcare, welfare, and a relatively graft-free state—for something as ineluctable as rain. Not a massive stroke of good fortune earned through the sufferings of our forebears (and a lot of other poor bastards worldwide who weren’t our forebears); just something you get. I can’t even really blame us Brits for our blinkered ignorance—the pan-political fumbling/sabotaging of what was meant to be a progressive education system meant we weren’t taught how privileged we were. Hence Brexit, the latest in a series of undisguised dismantlings of the social contract that began in the ’80s. Wicked old Maggie Thatcher usually gets the blame, but, heinous as she was, Thatch was just the cleaver—the hand wielding it for the chop was the ingrained insularity and ignorance of us Brits. Add to our education deficit the fact that for decades now the country has been centralizing its wealth, power, and sense of agency in one increasingly dominant city—London—while much of the rest of the place seethes with impotent resentment and a healthy dose of the bulldog racism that festers wherever St. George’s cross flags flap in the wet wind, and Brexit was a fait accompli from the off. The grim cocktail of a disenfranchised working class aware it has no future, the what ho! wankery of well-heeled Little Englanders, and a widespread ignorance of the issues involved was ready to be served—to the horrified surprise of a cultured class with its own insularity issues that might have been a tad less surprised if they’d ever taken a day trip to somewhere like Hull, Preston, or Llanelli. There’s certainly a malodorous side to the EU, but that’s not why we’re leaving it. With all this in mind, it feels as though this is a pretty apt moment to look back at a 1979 children’s TV series, and the 1975 book upon which it was based, both of which attempted to examine the realities of life in a Britain struck by crisis. 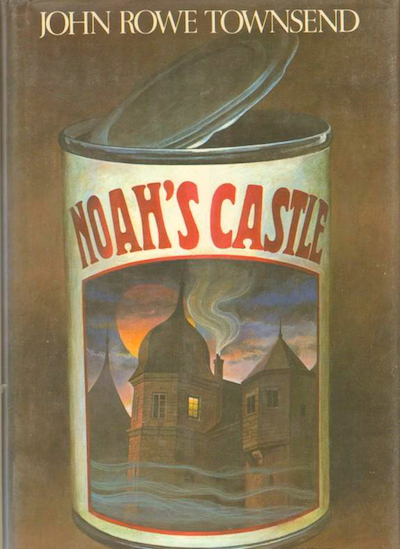 As its title implies, Noah’s Castle is about one family’s attempt to lock out the flood, the seething waters in this case being the results of the then-zeitgeisty issue of spiraling inflation and the consequent breakdown of civil order. What does it tell us about the mood of 1979 Britain that a dystopian children’s book about the collapse of civil society was seen as a good prospect for adaptation into a children’s afternoon television series? That the country was fucked? Yes, that might be it. The bells of doom seemed to be tolling pretty loudly, then, and Noah’s Castle took the mood and ran with it like a looter trying to get a crate of Fray Bentos tinned pies to safety. The book paints a picture of a collapsing society where poverty and desperation—and the violence and selfishness that inevitably accompany them—spread, while the government’s increasingly heavy-handed attempts to control the situation degenerate. Originally published in 1975, Noah’s Castle was written by John Rowe Townsend, a deft and prolific children’s author who produced books in a range of genres from romance to thriller to science fiction, and who, although almost forgotten now, was well-known at the time for Gumble’s Yard (1961), a portrait of working-class life inspired by his reporting for the Manchester Guardian. A Yorkshire Grammar-school boy, Townsend’s 1965 survey of the genre, Written for Children, did much to make children’s literature respectable, and he was seen in his day as something of an iconoclast for his attempts to introduce a more honest approach to the harsh realities of real life into children’s writing, as opposed to what he saw as the cozy falsities of middle-class writers. Taut, pacy, and genuinely unsettling, Townsend’s Noah’s Castle takes place on the periphery of the unfolding chaos, revealing the story as it would be perceived by the more or less passive protagonists. The story is a personal one too, which adds brilliantly to the unease—small, seemingly casual details like changes in the organization of school meals gradually ratchet up the sense of breakdown. The Mortimer family—Mum May, little Ellen, and teenagers Nessie, Geoff, and Barry (who narrates the story)—live under the autocratic dictates of martinet ex-soldier dad Norman. Norman has worked his way up to become the manager of a shoe shop, and as spiraling inflation starts pushing Britain down the slope towards anarchy, he initiates a plan to ensure the well-being of his family. Without consulting them, he announces that they are moving to a large detached house—the castle of the title—whose cellar he sets about secretly filling up with supplies. Mr Mortimer’s assistant in the shoe shop, Cliff, is a well-intentioned do-gooder who devotes his time after work to delivering food to the needy and who has a thing for Nessie. But Nessie has a thing for Terry, a working class tearaway who lives with his affectionate mum and whose take on redistributing food to the needy involves the more direct technique of looting. In the meantime, local hood Vince Holloway, the leader of a gang that has been raiding Cliff’s food deliveries and selling them at a mark-up, has realized that there is something funny going on at the Mortimers’ after little Ellen turns up for a birthday party with some tinned ham she has stolen from the cellar. When the government announces that hoarders risk prison sentences, Norman’s position shifts—no longer an upright, self-sufficient supporter of the establishment, he’s now a criminal, and easy prey for anyone who wants to blackmail him. Especially Mr. Gerald, Norman’s revoltingly slimy ex-boss, who exploits his obsequiousness to his “betters” to insinuate himself into the family, where he is soon giving orders and taking an unpleasant liking to Nessie. Sick of her dad and disgusted by the attentions of Mr. Gerald, Nessie moves out to stay with Terry and his mum who, though desperately hard-up, have managed to preserve their humanity; not long afterwards, May too is driven away by Norman’s regime, and she takes Ellen with her. Mr. Gerald soon follows suit—along with some of Norman’s provisions. To contemporary readers, Noah’s Castle will probably look dated and a bit trite, but by the standards of the day it was unpatronizing and adult in its ambiguity and refusal to draw inch-thick lines between goodies and baddies. Norman is viewed relatively dispassionately as a person of limited mental resources using the reductive moralism that has been inculcated into him. What exactly will happen when the food stores run out or when engagement with the greater community becomes necessary is beyond Norman’s scope: he wants a return to a retrogressive patriarchal dream of man as provider and protector, whatever it costs—and, as we later discover, is driven by the traumas of his own childhood. While not glossing over Norman’s blinkered stolidity, the book does at least try to explain how a person might end up that way, and I have my own memories of 1970s fathers not unlike him—relics of the deep programming of WWII, a psy-opped religion of sacrifice and discipline—who ran their houses like army bases and bossed their children around like recruits. It would be nice to think that father figures as deluded and controlling as Norman no longer exist outside of fiction, but it’s a fair bet that they do, though they perhaps have adopted a subtler portfolio of techniques. While Norman is obviously the villain of the piece, the book never quite paints him as a villain: his motives are (relatively) pure; it’s the methods he uses to try and achieve them that betray the limits and risks of his mindset. Mum May is, unfortunately, pretty much just a cipher, but considering how often well-intentioned paternalism is the default tone of male authors, the other female characters are drawn sympathetically, and seem to have their own agency outside the demands of the main character and the story. In fact, it is Nessie—courageous, perceptive, humane, and willing to stand up to her dad’s absurd dictates (and with a nickname that evokes another great personage of the day)—who is the standout character, despite Barry nominally being the center of the story. The book Noah’s Castle most reminds me of is Christopher Priest’s 1972 speculative fiction Fugue for a Darkening Island. 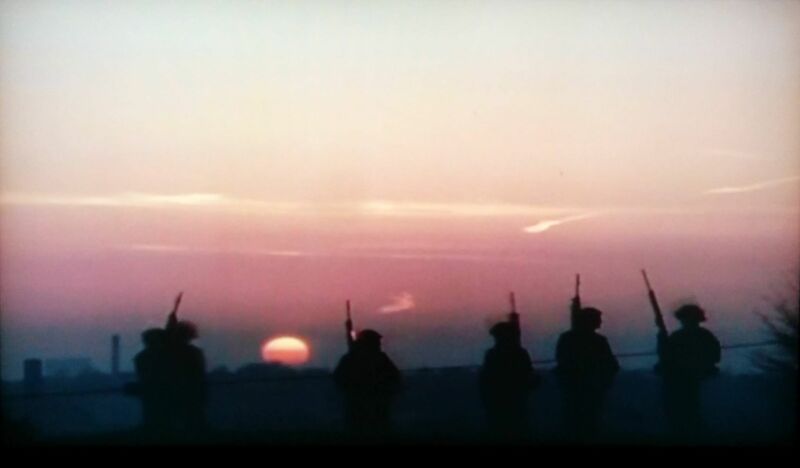 Fugue remains a controversial entry in Priest’s oeuvre—when I read it many years ago, I understood it as an attempt to use a surreal juxtaposition of the sectarian violence in Northern Ireland and the topic of immigration to force people living lives of unprecedented tranquility to empathize with those experiencing the horrors of war (we Brits not having experienced occupation or widespread armed violence on our national territory for centuries). The book proved divisive, some publications praising it upon release for the progressive nature of its politics, while others, including London’s Time Out magazine, described it as right-wing propaganda, a reputation that deepened over the years as paradigms regarding the discussion of race and immigration progressed. (In 2011, Priest revised the book’s original text and wrote a new introduction explaining his intentions. It’s an interesting book, but remains a problematic one.) In its own less polemic way, Noah’s Castle attempts this same trick of shocking Brits out of their complacency to make them realize how thin the ice over the abyss actually is. The TV adaptation of Noah’s Castle is a peculiar artifact. Given the subject matter, it’s relatively unremarkable, though it’s very competently made and acted, and its surreal juxtaposition of the homely realities of everyday British life and the pungent sensation of approaching doom throws up some extremely memorable images. It was commissioned in 1979 by Southern Television, when British life was once again in a state of flux. The economy was on its knees and the previous winter, the coldest in over 15 years, had become known as the Winter of Discontent after government policies attempting to control inflation sparked widespread industrial action, the reaction to which contributed to the election of Margaret Thatcher as Prime Minister later that same year. The series renders the grottiness, greyness, and shabbiness of a collapsing ’70s Britain (which didn’t look that different to supposedly uncollapsing ’70s Britain) surprisingly well: drinking and smoking abound, and gangs of resentful-looking blokes lurk on street corners, looking for a scapegoat to take out their frustrations on. As played by underrated character actor David Neal, dad Norman is a much less ambiguous character than in the book but remains compellingly watchable, and Annette Ekblom makes a brilliant Nessie: insouciant, smart, and thoroughly credible, despite the occasional woodenness of the script. Better known to my generational cohort as a perennially sweaty comedian as well as presenter of children’s pop quiz Runaround (which he occasionally co-hosted with Bowie-tangential robot Metal Mickey), Mike Read also turns in a memorably threatening performance as black marketeer Vince Holloway. 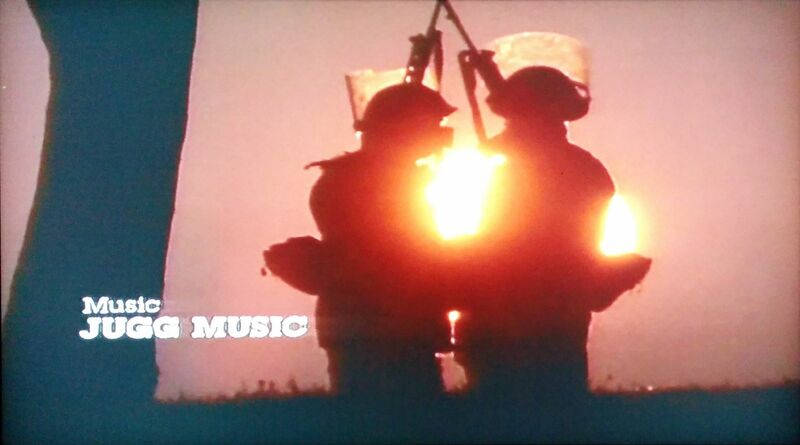 The most powerful thing about the TV series for me are the end credits, with their images of soldiers in riot gear calmly massing on the horizon while prosaic news headlines (example: “power workers have demanded a further 52% rise in pay. The government minister has restated that they will not be held to ransom”) drone away over band Jugg’s elegiac theme music, which somehow contrives to make the use of a bossanova preset unsettling. That this could be part of a TV series aimed at young people is entirely typical of a time when fear and death hung ever-present over British children’s entertainment. 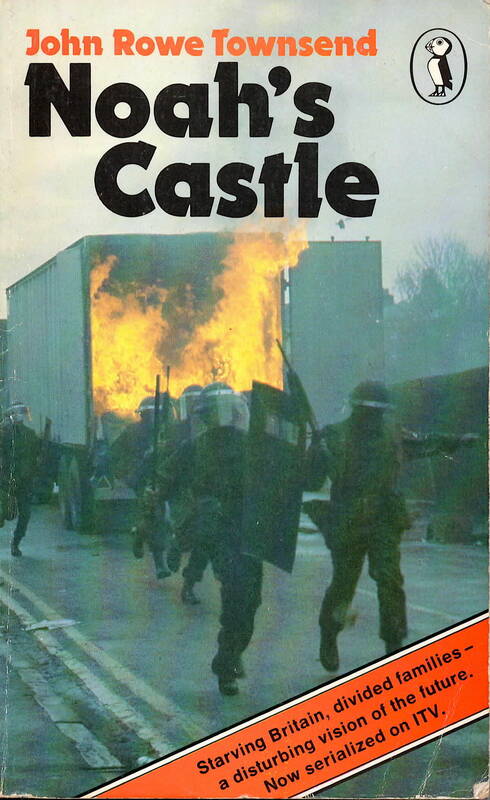 Like many creative endeavors of the time, both the novel and TV adaptation of Noah’s Castle seem to express fears about the end of the post-war consensus, the seething rage beneath the mustn’t-grumble-ness of British life, and a need to process the traumatic events of the past through the lens of contemporary worries. The story also feels like a commentary on a perceived shift away from the then-prevailing “Father-Knows-Best” mentality, as Norman’s look-after-your-own-even-if-you-have-to-kill-them-to-do-it approach proves vastly less effective as a survival technique than engaging with your fellow humans. It underlines the self-deluding limits of the then-nascent prepper movement that preached an unlikely gospel: in short, that one well-prepared man (and it is pretty much always a man) can hold out against anything. The hero of Jerry Ahern’s demented, post-apocalyptic The Survivalist novels was forced to invent increasingly ludicrous amounts of infrastructure to allow his protagonist to thrive, but any putative British preppers back then were more likely to be an outgrowth of the D.I.Y. culture that encouraged people to artex their own ceilings than any Ayn Rand nonsense; and Noah’s Castle shows what survivalism would likely mean in practical terms to people of normal resources: hiding out in a shoddily boarded-up cellar with a store of food that makes you a target. It also highlights the fact that what we now think of as preppers would once have been thought of as food hoarders—which is to say, not as admirably self-reliant individualists, but as the enemies of the rest of us. The TV series of Noah’s Castle was broadcast once (to my knowledge) before vanishing entirely, along with the book it was based on, and for decades afterwards I never met another living soul who had any memory of it at all. Despite that, though, I can’t have been the only person of my generation who began seeing clips of Noah’s Castle playing on their mental TV as UKIP—the UK Independence Party—began its uncanny ascent, and Brexit mutated from an irritating journo neologism to a reality-altering shitshow. The nominal basis for the two might be completely different, but the Mortimers’ house evokes perfectly the isolationist flames, fanned by clichéd WWII rhetoric, that have driven the whole thing: Norman decides to take back control by cutting his family off from the wider community, and his growing callousness towards the more unfortunate drives a wedge between him and the rest of his family, even as the situation is exploited by the revolting Mr. Gerald, who uses his social ascendancy over Norman to establish a parasitical return to the power structures of days gone by. The family’s kids personify the full range of Brexit reactions, from Nessie, who refuses to disengage with the rest of the world, to brainwashed Geoff, living second-hand his father’s dreams of a country where everyone knows their place and where order and duty prevail. And dull Barry is too stunned by the speed of the evolving paradigm shift to know what he thinks. As growing numbers of the inhabitants of a wealthy first-world country are forced to turn to food banks to survive the conservative government’s decision to make the poorest pay for a recession they didn’t cause, the Brexit parallels don’t just suggest themselves, they pretty much jump out and smack you in the face with a metaphorical riot shield. And the echoes of Northern Ireland during the Troubles are even more troubling now that conservative politicians have indicated their willingness to relight that fuse if it will make their Brexit nightmare go away. So what exactly is Noah’s Castle? The aforementioned critique of the prepper mindset? A reminder of how dangerously people can behave when they feel that their backs are against the wall? An examination of how an obsessive desire to control can only isolate? Of how by its nature paternalism, even well-meaning, inevitably ends up destroying the bonds of affection, respect, and debate that should be at the heart of human relationships? Of what happens when people treat the family as the basic unit of governance? Norman’s declaration that “I’d let everyone in the world die before I’d stop protecting my own” points to the line at which that kind of logic stops being a reaction to a problem and starts becoming the reason the problem exists in the first place. It is Norman’s solipsistic, patriarchal approach to life—a damaged worldview resulting from a childhood dominated by another man’s traumatizing self-obsession, and now playing out in another form through his son, and so on for ever—that creates, at least in part, the social fragmentation he so fears. Noah’s Castle tackles all of these issues to varying extents, but to my mind its lasting power lies in the sensory rendering it provides of how it might feel when a society actually, in real time, starts to collapse: everything pretty much normal, maybe just a bit worse—with a background noise of helicopters, sirens, smashing glass, running feet, and tolling bells gradually growing louder in the background. Given the cash-from-chaos lowlifes who have dominated British public discourse for the last decade, it’s a background noise that is worth bearing in mind. I read this book as a young’un and found it profoundly disturbing. The tv series aired in Australia on ABCtv along with many of the other children’s serials of the time. IIRC it was just as disturbing to me then, and I was a little older. No memory of this, and I’d have been the perfect age for it. I think if I’d watched it, the fact that the disaster was economic in origin would have rendered it especially weird and frightening – the collapse of society caused by *numbers*, lack of food because *numbers*, that the grown-ups would play along with it and become victims because *numbers* etc. Irrelevant observation: the theme music reminded me of The Stranglers in their silky synth phase, circa Feline and La Folie. I managed to find a copy of the book in New Zealand’s National Library. It read a bit differently for me, but also surprised how much detail one can get out of a book describing hyperinflation, not exactly a children’s book. Also similar to reading Terry Nation’s book Survivors, written after the TV series screened, but with a very similar feel. 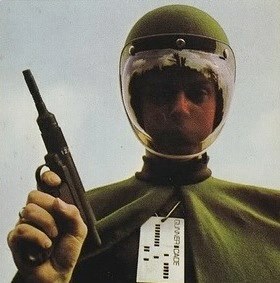 Nation ended the book with the absent son unknowingly shooting his mother, Abby Grant, which was not in the TV script. Also interesting is the portrayal of hoarding. In Survivors the man building up a stockpile in a quarry is maimed when his tractor lands on him; and then the stockpile is secured by Abby Grant whose cellar in the commune’s castle is flooded out.